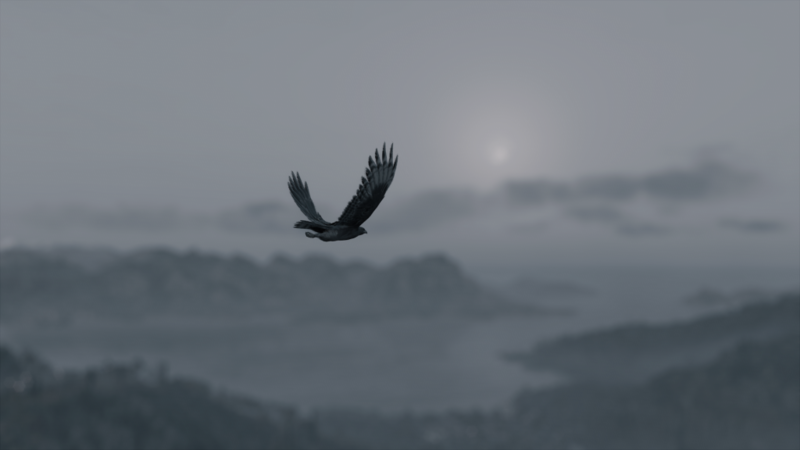 Assassin’s Creed Odyssey is releasing on PS4, Xbox One, and PC with full support for PS4 Pro and Xbox One X. What about the Nintendo Switch version? 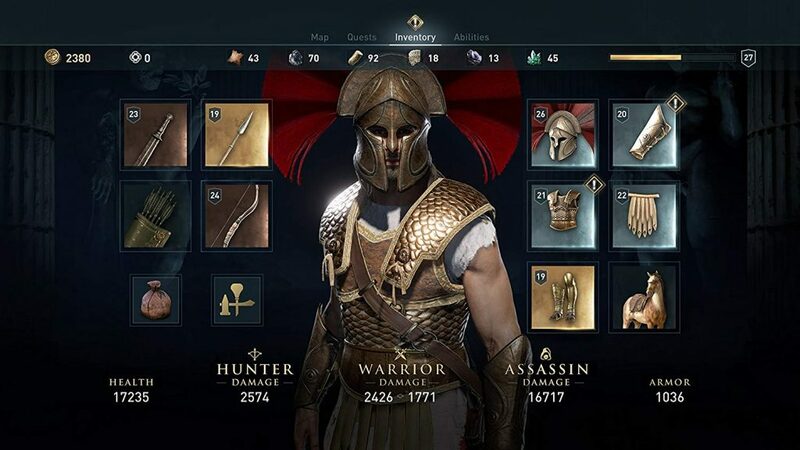 If you’re in Japan or have a Japanese eShop account, you can try out the Cloud Version of Assassin’s Creed Odyssey On the eShop. This will be streamed to your Switch using the Internet in a similar manner as Resident Evil VII. As of now, there are no details on whether this will be playable in English or even release outside Japan. 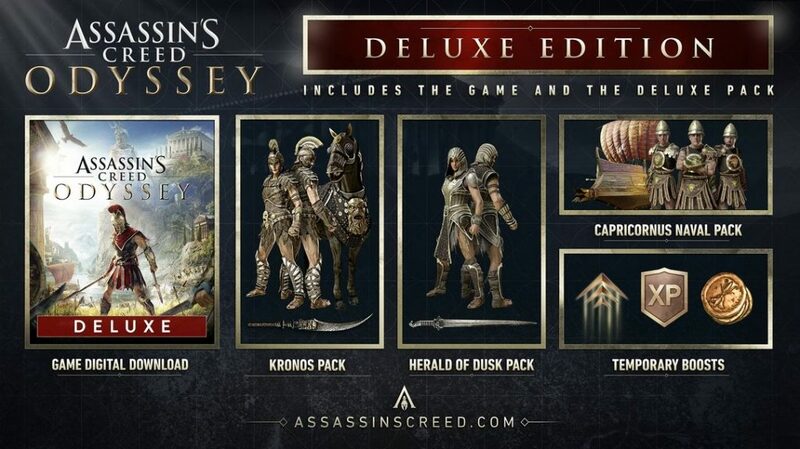 Assassin’s Creed Odyssey releases on October 5th worldwide unless you buy the Gold or higher tier edition in which case it released on October 2nd. What editions will be available in India? 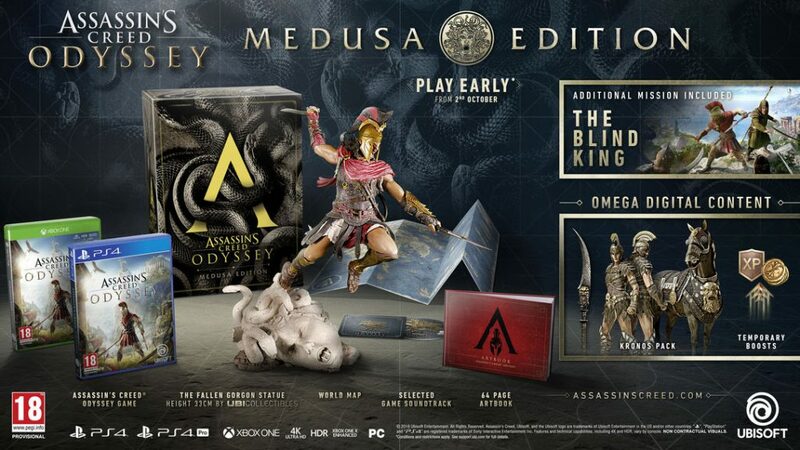 Medusa Edition – This includes both physical and digital extras. Are there Digital exclusive editions? 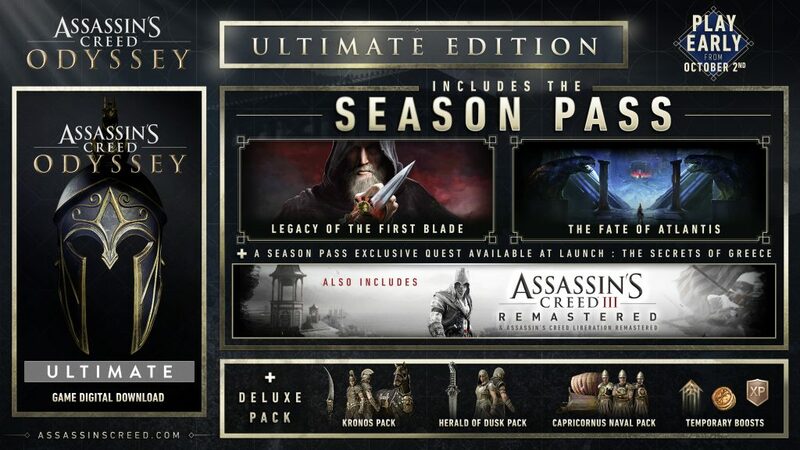 The Season Pass has two sets of episodic content rolling out beginning December 2018 and both Assassin’s Creed III and Liberation Remastered. 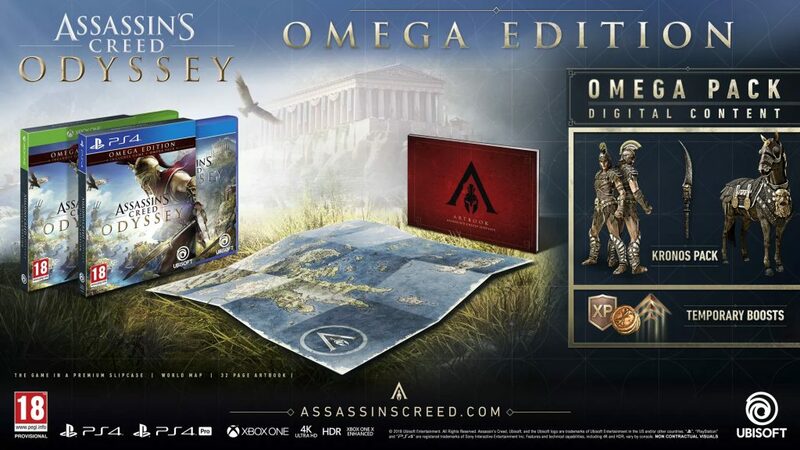 While this is included in the Gold and Ultimate Editions, you could buy PSN credit to pick it up later on and get the Omega Edition now. 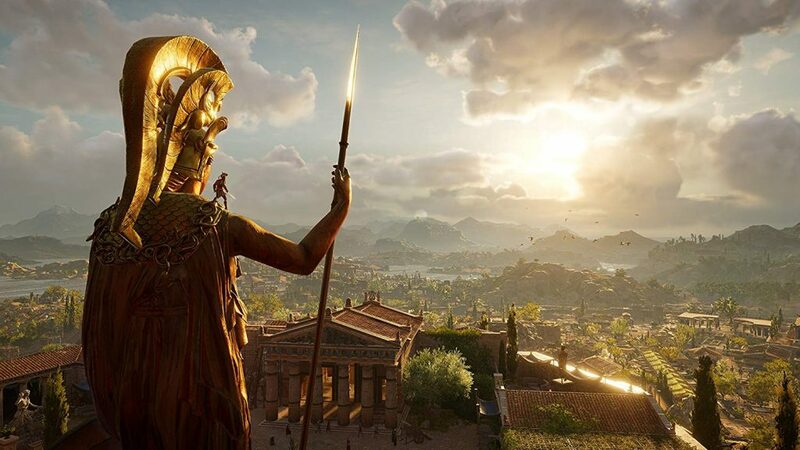 Assassin’s Creed Odyssey’s download size is about 46GB across all platforms. This will likely increase with patches for launch. What are the PC version requirements?